This entry was posted in Archive, Twitter and tagged @paleofuture, Favourite, Twitter on 28/02/2014 by John. 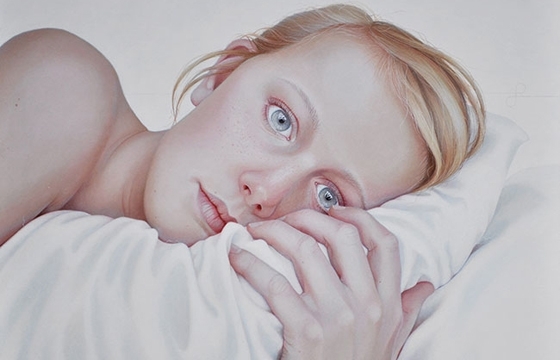 The photorealistic painting of the Dutch artist Jantina Peperkamp emit a soft and exquisite light with an incredible precision, while the viewers can read a certain loneliness and desolation in it. The final result is established by the energy that arises between the artist and her model, as the artist functions as observer and as identifier. Because Jantina Peperkamp considers all her paintings as self-portraits, and it is very important for the painter to recognize herself in her models. This entry was posted in Archive, Feedbin and tagged Favourite, Feedbin, Juxtapoz Magazine - Juxtapoz Magazine - Home on 28/02/2014 by John. This entry was posted in Archive, Twitter and tagged @johncoulthart, Favourite, Twitter on 28/02/2014 by John. This entry was posted in Archive, Twitter and tagged Colossal, Favourite, Twitter on 28/02/2014 by John. This entry was posted in Archive, Twitter and tagged @ftrain, Favourite, Twitter on 28/02/2014 by John. This entry was posted in Archive, Twitter and tagged @theretronaut, Favourite, Twitter on 28/02/2014 by John. This entry was posted in Archive, Twitter and tagged @publicdomainrev, Favourite, Twitter on 28/02/2014 by John. Posted on February 27, 2014 at 10:44PM. This entry was posted in Archive, Tumblr and tagged Favourite, ratak-monodosico, Tumblr on 28/02/2014 by John.